the overall excellence of the development. 6.01 Hotel Category - Business type or leisure type, service apartments that are strictly operated as hotel, etc. 6.03 Industrial Category - For industrial building, industrial parks, technology parks, warehouse, factory, workshop, etc. 6.05 Public Infrastructures/Amenities Category - Project developed by public fund: government buildings, hospitals, road, bridges, stadium, etc. 6.06 Residential Condominiums Category - Owner-occupied Apartments. 6.08 Affordable Housing - Housing for the lower income group. 6.09 Resort Category - Beach resorts, hill resorts, theme park, marinas, etc. 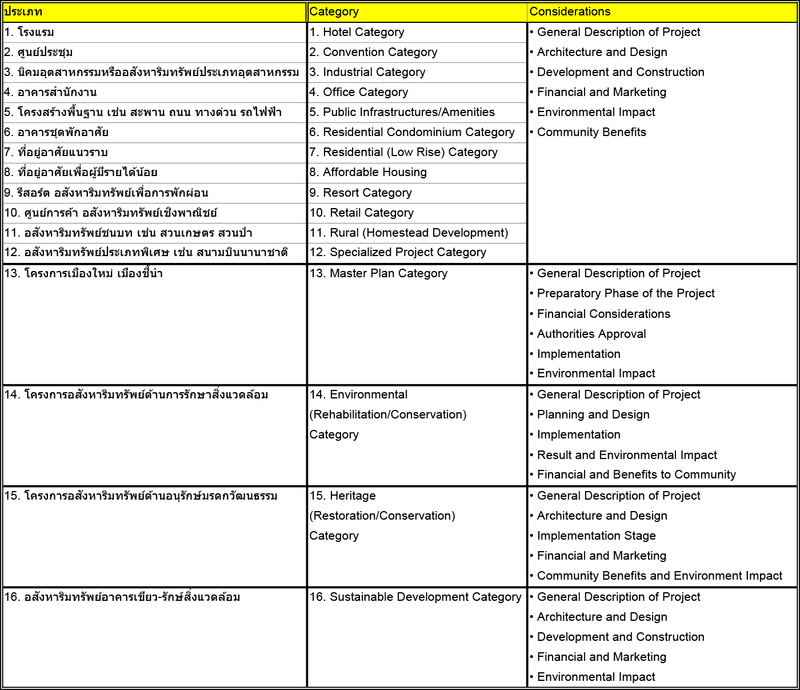 6.11 Rural Development Category - Forestry, farm developments, etc. 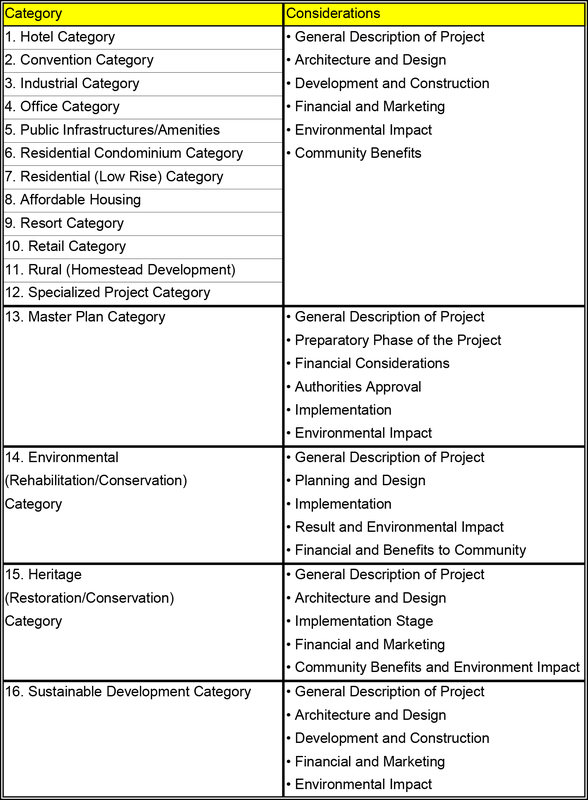 6.13 Master Plan Category - For a development concept plan, i.e. township development and housing estate development. 6.14 Environmental (Rehabilitation / Conservation) Category - Project that rehabilitates an environment or to conserve existing environment. 6.15 Heritage (Restoration / Conservation) Category - Restoration or conservation old buildings that have been identified for Heritage Conservation. in the magazine/brochure when your project win.